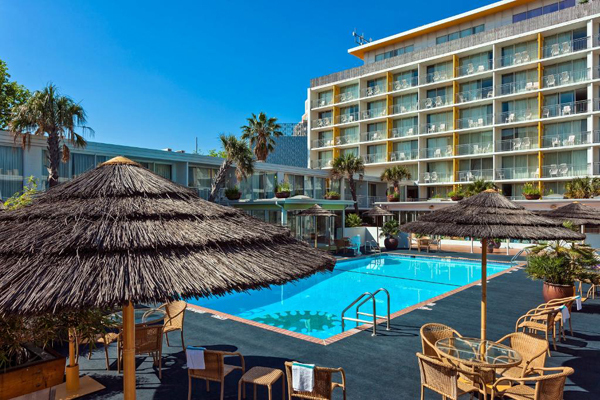 All posts tagged: "3 Nights"
Ocean Sands Resort is located in the heart of Virginia Beach’s resort area and the center of the boardwalk. 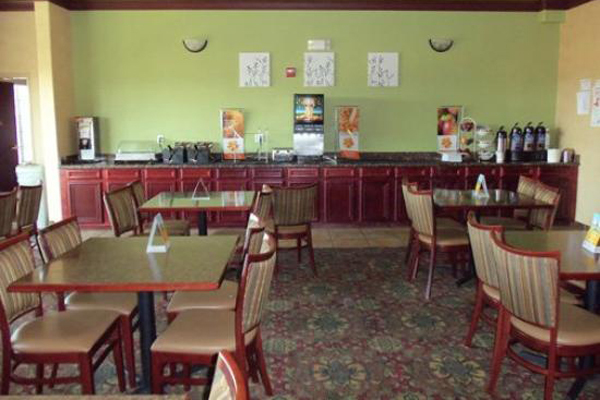 Shopping and fine dining are only steps away. 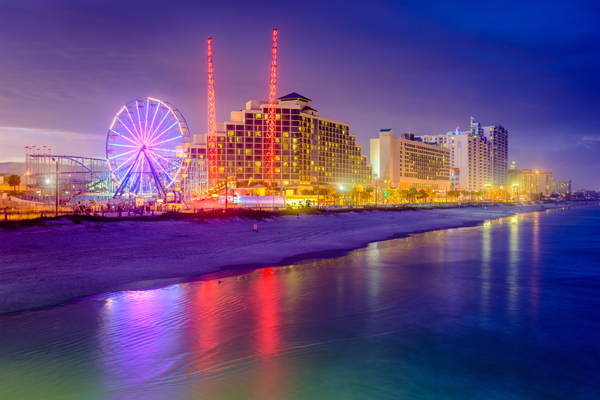 As a result, there’s no better location if you want to enjoy the shows and FREE concerts along the oceanfront. 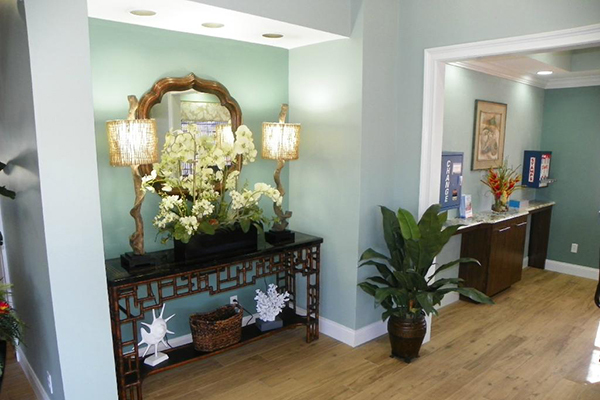 Ocean Sands proudly offers a number of PURE™ Allergy Friendly Rooms and have gone through a comprehensive process. Therefore, it has dramatically improved the air quality and nearly eliminated most irritants. 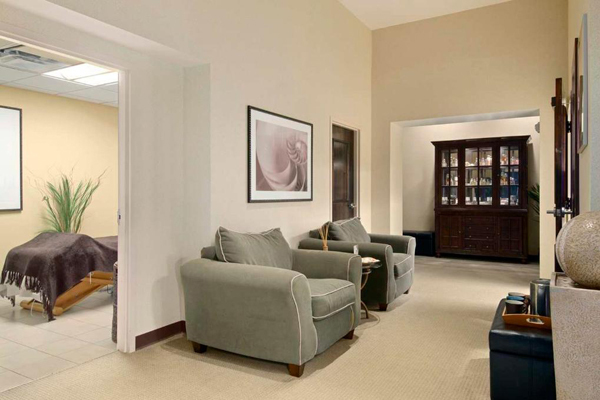 In Fact, a PURE™ room is an allergy-friendly, healthy alternative for all guests. 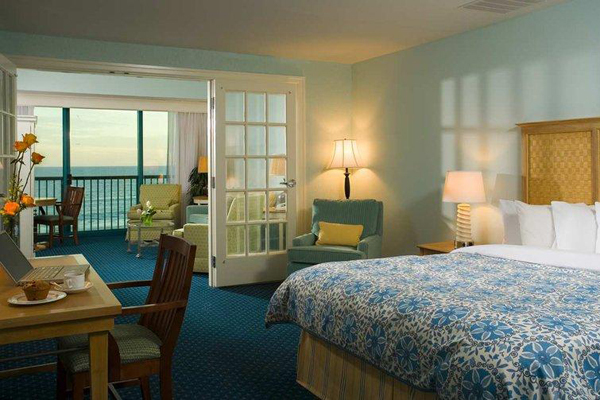 The newly refurbished Ocean Sands Resort offers 104 oceanfront vacation suites, an inviting lobby, relaxing sauna, and amenities that will make you want to stay forever. 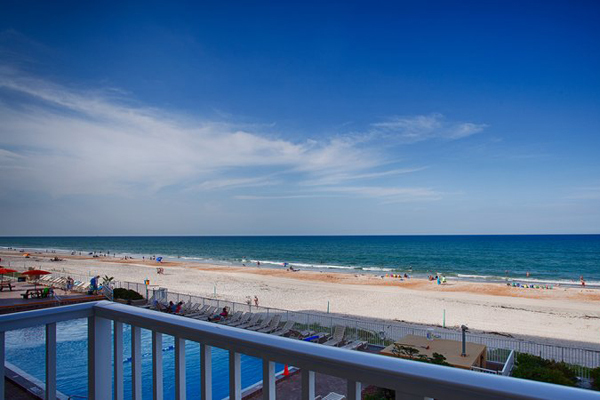 Enjoy the breath taking views of the Atlantic Ocean on your next vacation by reserving your stay at Ocean Sands Resort. Vacation rentals can come in a variety of sizes, depending on how many people you are traveling with, as well as what is most comfortable and convenient for you. In a vacation rental, you will have a few fairly spacious rooms, rather than just one room to stay in for the duration of your trip. This may make a vacation rental the best choice for you if your trip is going to last for longer than a few days. 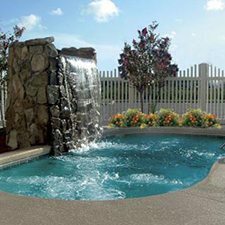 Vacation rentals come in a wide variety of options, depending on the destination that you are staying in. 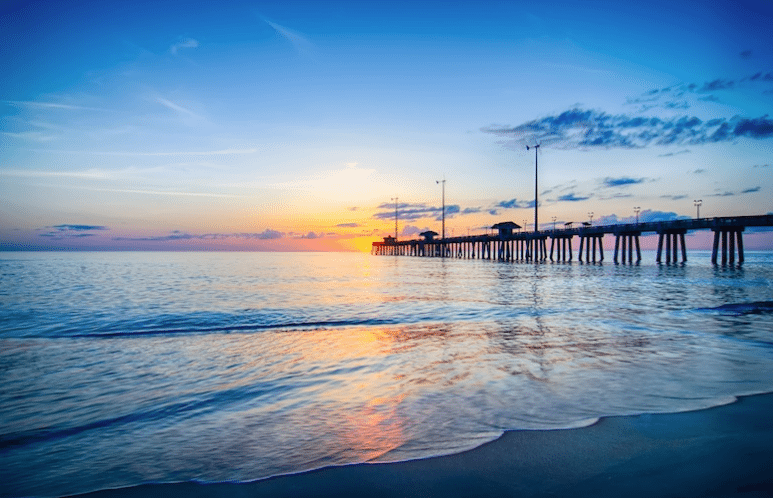 You could be able to find rental cottages or even log cabins, or maybe a rental condo on the beach or in a prime location near the vacation destination’s best attractions and conveniences. Vacation rentals are great choices for when you are traveling with your family or a group of friends. 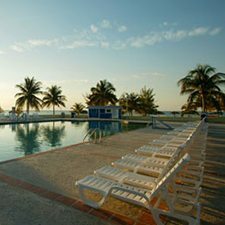 Get more information about vacation rentals in a wide variety of locations at www.rooms101.com. There are many occasions in life when people like to take vacations. 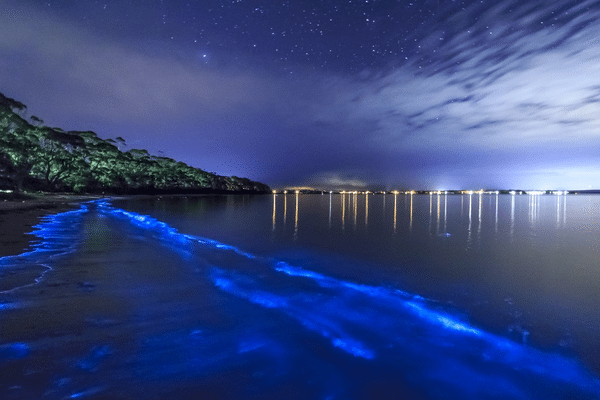 Sometimes, you just have to get away for a while and other times, you have the opportunity to go out and do or see something you have been looking forward to. Often, people take a vacation in order to commemorate something special, such as a holiday, birthday, anniversary, or other important milestone. This lends an extra relish to the vacation and is the perfect way to celebrate. The unfortunate thing is that not everyone gets the chance to go out and have a nice vacation on a special occasion, simply because it costs a lot of money. If this is the case for you, then it’s time for you to check out vacation package deals! 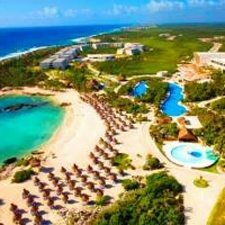 What Are Vacation Package Deals? A vacation package deal eliminates the necessity of either paying for all the expenses of going on a vacation, or cutting back on activities to save money during your trip. 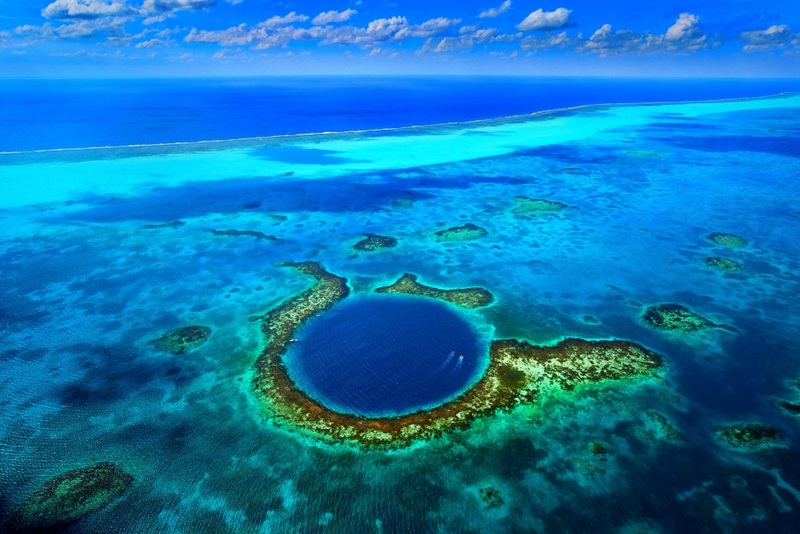 When you get a vacation package deal, you pay an affordable price of just a few hundred dollars at the most. In return, the package deal covers various travelling expenses, such as airfare, lodgings, food and attraction tickets. 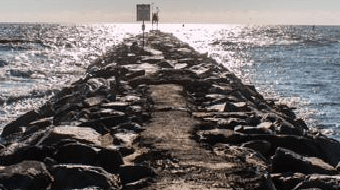 When Can A Vacation Package Deal Help Me? Have you ever wanted to take your sweetheart out on a romantic getaway? Nothing ruins a romantic mood like getting stressed out from planning and budgeting a special trip. A vacation package deal does all the hard work for you and all you have to do is sit back and enjoy yourselves. 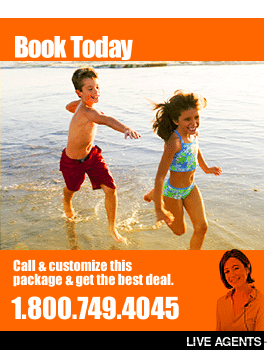 A vacation package deal is also a wonderful solution for if you want to take your kids on a family vacation. If it is nearing a holiday, the chances are high that you will find a good vacation package to help you save and have an unforgettable holiday. Are you a classic car enthusiast? 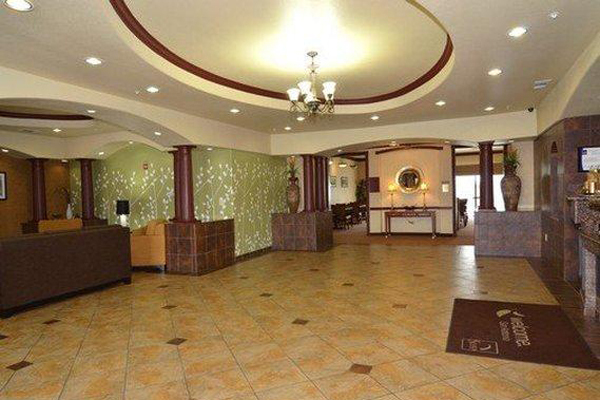 If so, you’ll love this family-owned hotel right on Shepherd of the Hills Expressway. 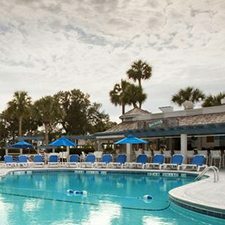 They offer many amenities including military discounts, free breakfast and evening snacks, a gift shop, and a free stay for children under 16. Of course, many gorgeous classic cars are also on display. This hotel features luxurious, upscale rooms. 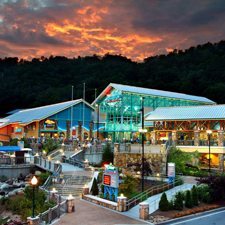 It is centrally located in Branson and has a ticket/concierge station to help you with your travel needs. 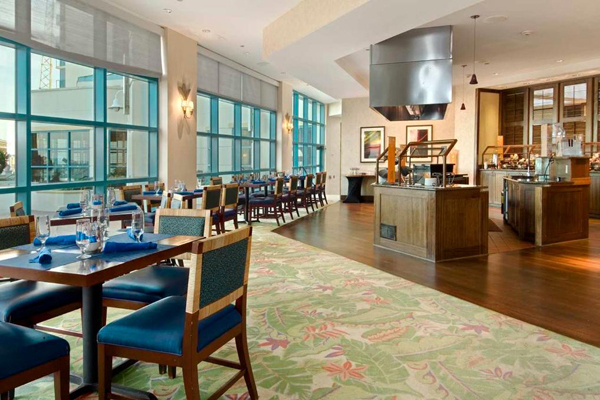 During your stay, you will enjoy a variety of amenities and you can even check out the fine cuisine in the Plaza View Restaurant. 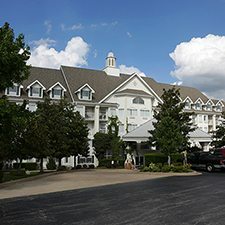 This is another family owned and operated hotel, which is near many major Branson attractions, as well as restaurants and shopping. They have a very friendly staff, a delicious hot breakfast buffet, handicap rooms and a picnic and barbecue area down by the beautiful creek which runs through the property. If you like clubbing you have come to the right place to celebrate your Easter time! This brand new 15,000 square foot Las Vegas Nightclub brings “the sexiest place on earth” to Tropicana Las Vegas in signature Nikki Beach style. The Club features a swanky ultra-lounge where guests can gather and relax before entering the nightclub. Nikki Beach blends its world famous all-white decor with best-in-class service and entertainment. Doors open directly out to the beach area, enabling guests to move between the thumping beats of the dance floor to the more relaxed and intimate space of the Las Vegas Beach Club. 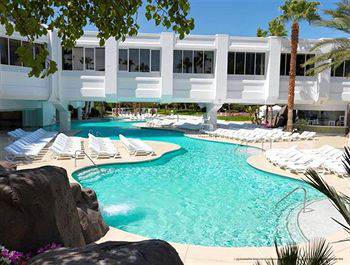 So stay with us at the Tropicana Las Vegas Hotel in Las Vegas for only $199 for 4 days and 3 nights this Easter Vacation. Book your refreshing room today and thoroughly spoil you and your loved ones. We have also included a free $100 visa card and 2 Tropicana buffet vouchers! Viva Las Vegas! Tropicana Las Vegas Hotel features all new, best-in-class Las Vegas Hotel rooms on the Strip designed in warm tones that evoke the casual luxury of a South Beach getaway. 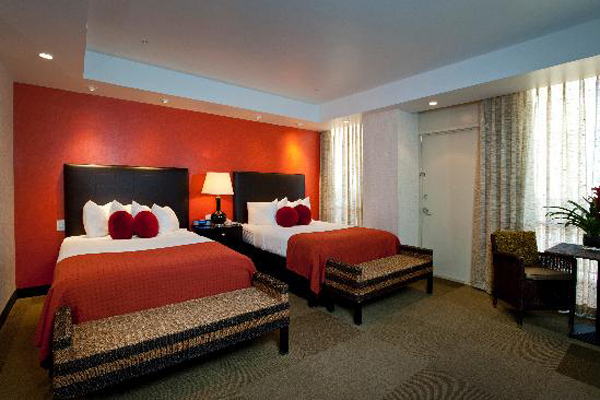 From stylish island rooms to opulent suites, our Las Vegas accommodations are the essence of relaxed, tropical glamour. 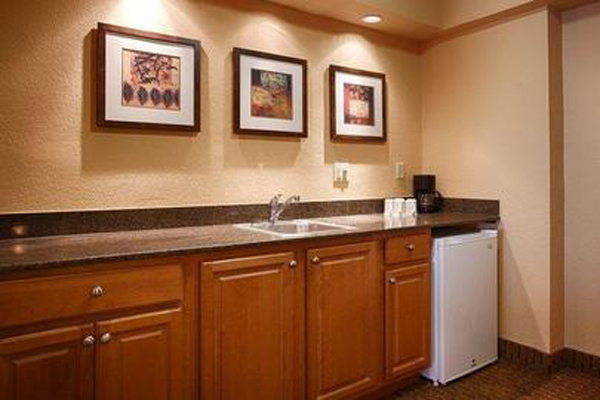 When it comes to amenities, every room on the property offers the height of comfort and convenience. From new plush Euro-Top Serta mattresses and fine linens to 42″ plasma TVs, each newly transformed room is an inviting sanctuary. 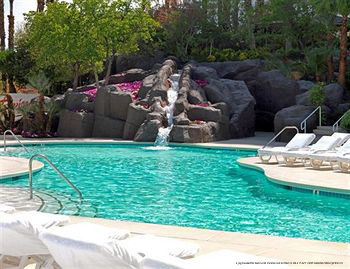 Whether you’re seeking a relaxing retreat or hot poolside action, our Vegas pool is your pleasure. 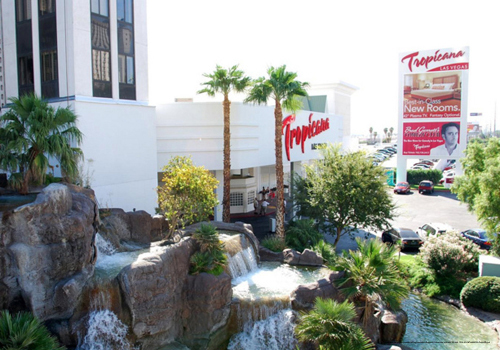 Spread over 4 acres of lush tropical landscaping with waterfalls, palms and refreshing mist, our Las Vegas pool and garden is the epicenter of your escape at Tropicana Las Vegas. 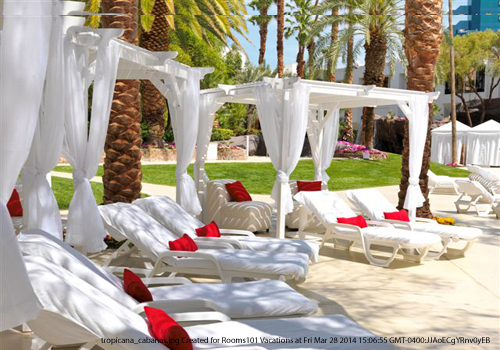 Relax on a plush white lounger while sipping an exotic cocktail. 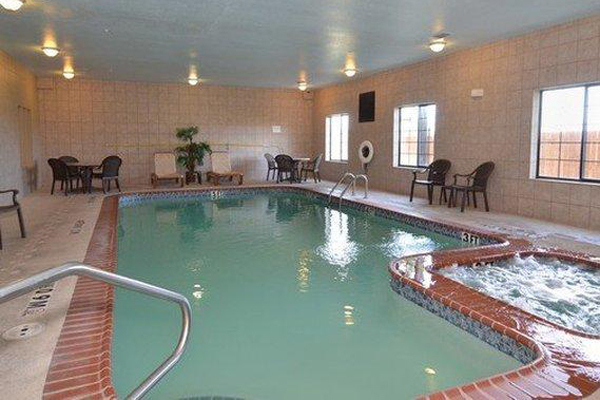 Make a splash in Leblon Cove or slip into two large heated Jacuzzis for the ultimate indulgence. 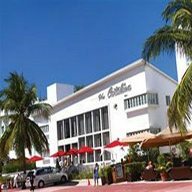 Come and stay at one of the oldest hotels on the strip. Come spend an enchanting Las Vegas evening on Lake Mead with a dinner cruise aboard a Mississippi River-style paddle-wheel steamboat, the Desert Princess. During the day board a helicopter and see the famous Grand Canyon. Take in a spectacular famous Las Vegas show from Cirque du Soleil to one of your favorite entertainers the choices are abundant. Visit the Eiffel Tower and dine at their world famous restaurant with a panoramic view. Come to the most unique city this Easter and book your dream vacation today! 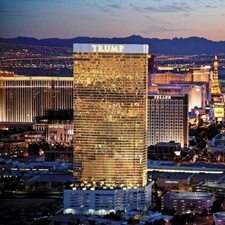 Escape to Las Vegas, Nevada for this Las Vegas memorable Easter Vacation Getaway Package Special for 4 Days and 3 Nights for only $199 and stay at the newly renovated Tropicana Hotel and Casino. Easter in Las Vegas is enjoyed by millions every year. 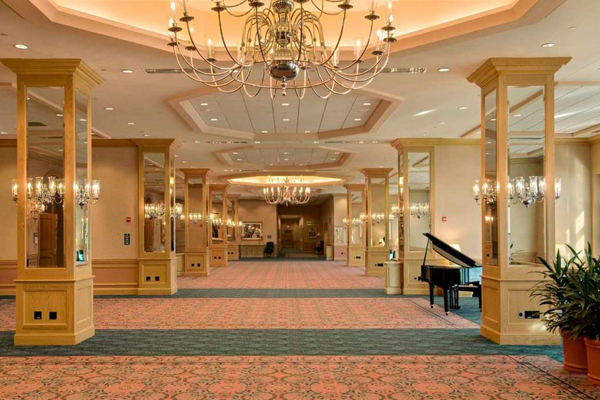 Hotels go all out with towering trees spread throughout their establishments and magnificent display of lights. The all-new Tropicana features tastefully redesigned rooms in warm tones that evoke the casual luxury of a beach getaway. Included in this fantastic deal are 2 Tropicana Buffet Vouchers and a FREE $100 Visa Card to get a start on Easter Shopping. Don’t wait to book this Las Vegas Easter Vacation Getaway – it won’t last long! 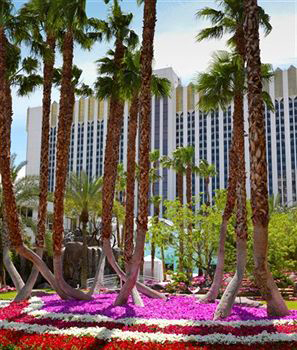 If you’re looking for the best value and resort in Las Vegas, your search is over! 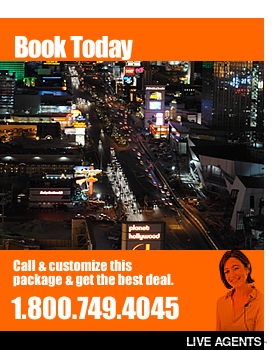 Call now to book this Las Vegas, Nevada Easter Vacation Package for you and your family! 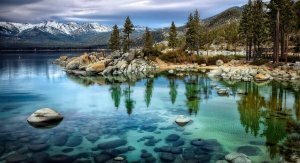 Rooms101.com takes pride in finding the most affordable options for Las Vegas, NV family vacations. All inclusive Las Vegas Easter Vacation Package for less than $200!! 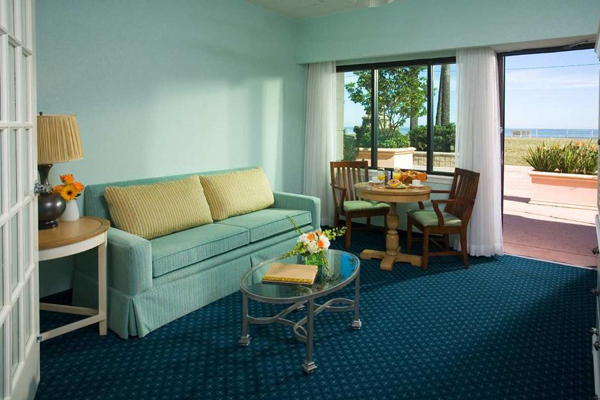 From stylish island rooms to opulent suites, all our accommodations are the essence of relaxed, tropical glamour. 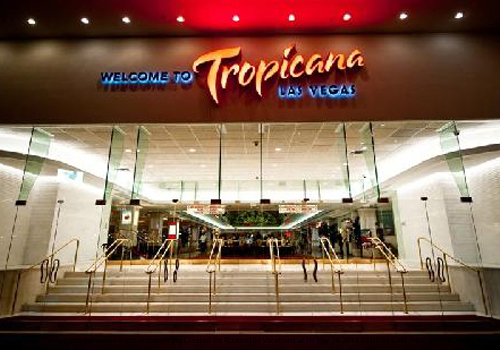 But remember, your room is just the beginning of the Tropicana experience. Our total transformation has brought a hot new vibe to our cool new look. Get styled. Get pampered. Make a splash. 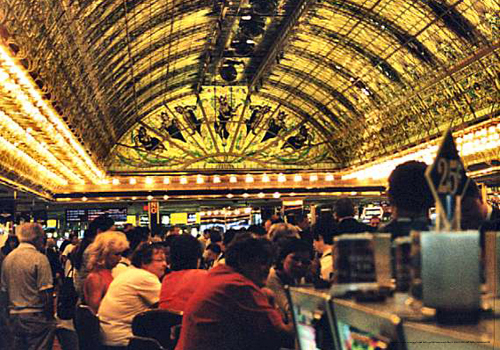 When you’re not enjoying the winning action of the casino or a top-flight meal, spend a little “you time” at our salon. Stroll our many unique shops. And when the new pool experience is ready, be the first in the water. 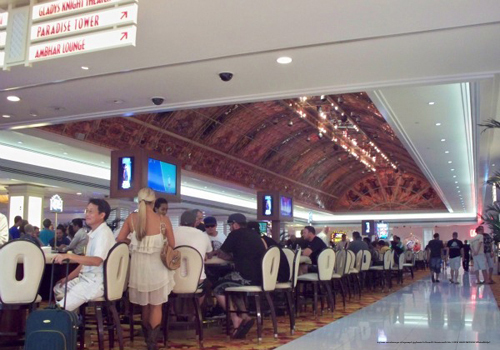 Learn all about Tropicana Las Vegas’ amenities including super-speedy Wi-Fi. 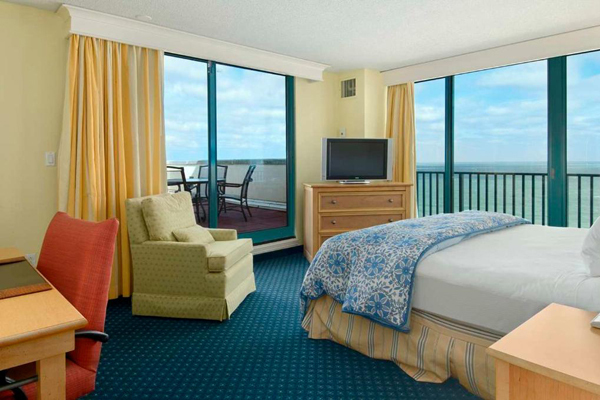 The Tropicana offers a total of 1,658 guestrooms in the Paradise Tower, the Island Tower, and the Garden Tower. The 22-story Paradise Tower is just off the casino floor and features views of the Las Vegas Strip. 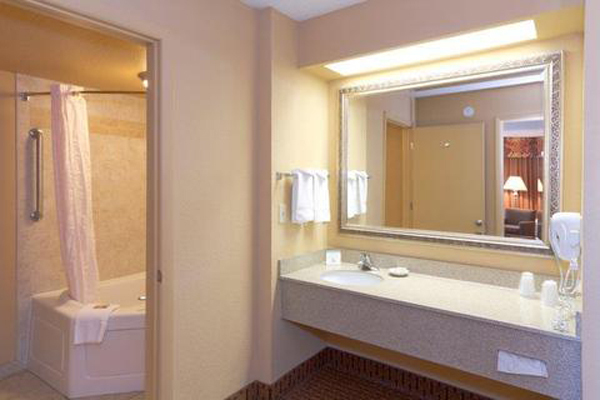 Guestrooms feature pillowtop beds, 42-inch flat-panel TVs, workstations or chaise lounges, clock radios with iPod docks, and wireless Internet access. 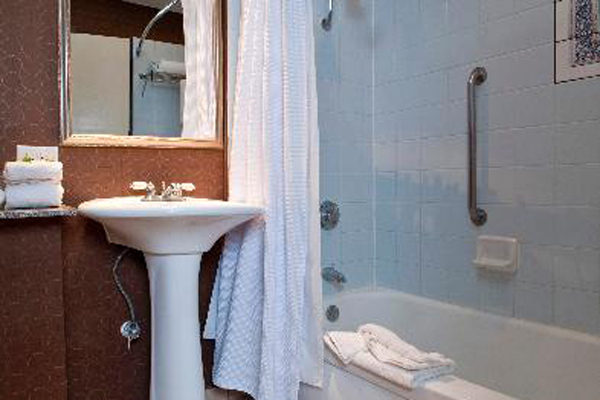 Bathrooms include Kohler sinks, curved shower rods, and artwork from acclaimed Latin artist, Aldo Luongo. 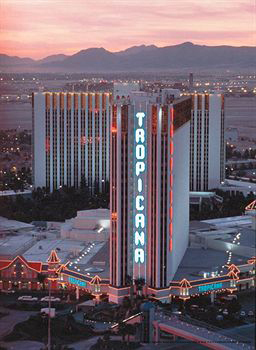 The 21-story Island Tower is located near the Tropicana Convention Facilities and the five-acre tropical gardens and pool area; it is connected to the main casino by an enclosed walkway. 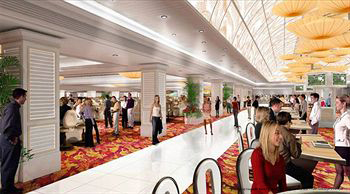 Island Tower guestrooms will be available in Fall 2010. Some suites offer spacious living rooms, a jetted tub, and ensuite bathrooms with steam/shower combinations. The low-rise Garden Tower overlooks a five-acre garden/pool area with tropical foliage, waterfalls, and pools. 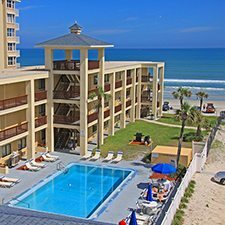 Come to Daytona Beach, Florida for a Daytona Beach Florida Thanksgiving Black Friday Weekend Getaway Package and enjoy 4 days and 3 nights for only $199 and stay at the Hilton Ocean Walk Resort. 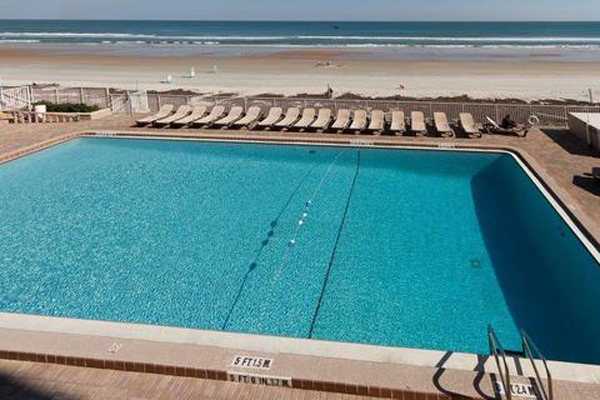 Come experience Daytona’s finest oceanfront resort, The Hilton Daytona Beach Oceanfront Resort – Ocean Walk Village. 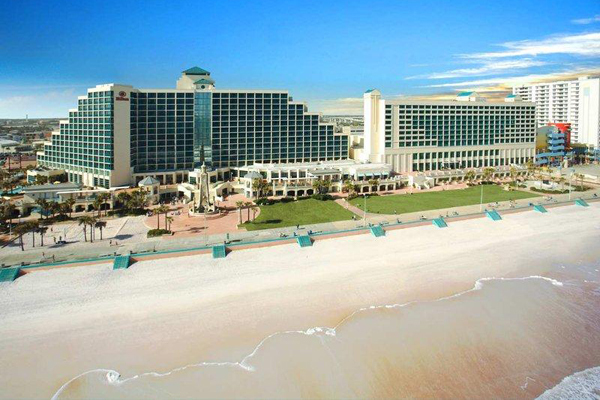 Located directly on the sunny beaches of the Atlantic Ocean, the Hilton Daytona Beach offers impeccable service, an abundance of amenities and many dining and recreational options. Included in this Daytona Beach Florida Thanksgiving Getaway is a $50 Visa Card to do your Christmas Shopping on Black Friday. 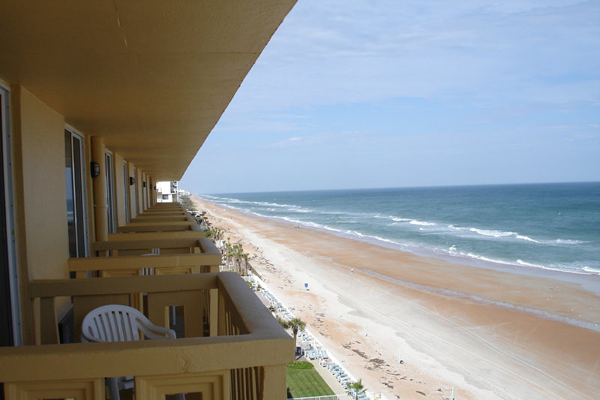 This is the best Daytona Beach Florida Thanksgiving Getaway online. 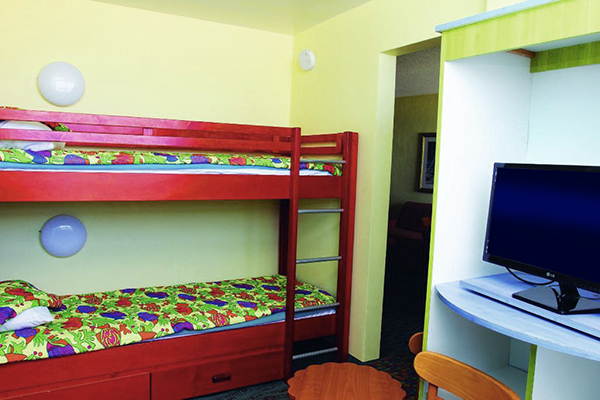 Call Rooms101.com now and customize this package for you and your family! 1-800-749-4045! Additional Nights available for only $59 per night. 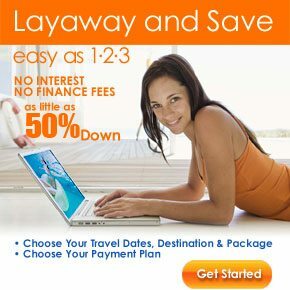 Layaway this vacation and Book your vacation NOW! CLICK HERE for Vacation Layaway details. 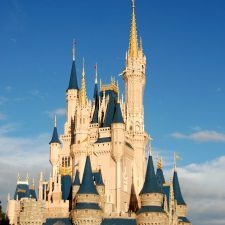 CLICK HERE for Discount Walt Disney World®, Kennedy Space Center®, Universal Studios®, SeaWorld®, Holy land® and more Florida attractions tickets! 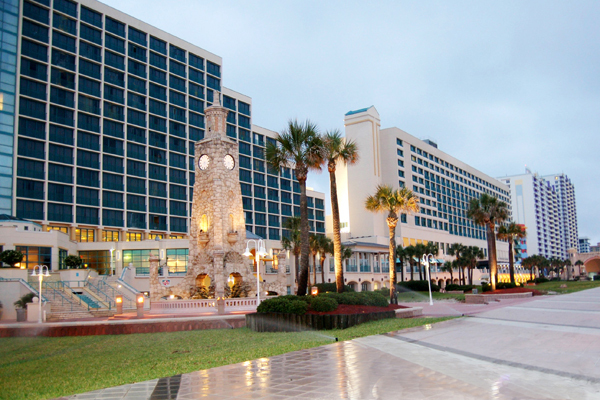 Come experience Daytona’s finest oceanfront resort, The Hilton Daytona Beach Oceanfront Resort – Ocean Walk Village. 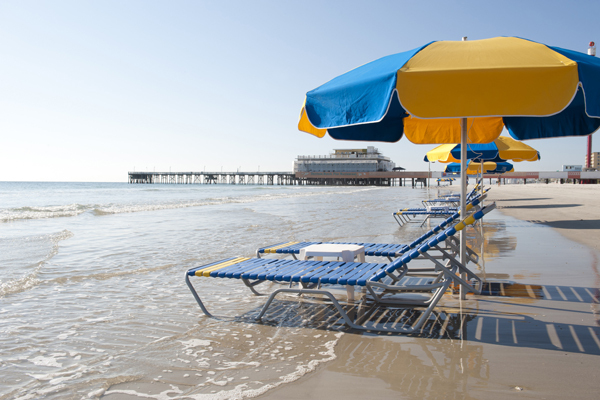 Located directly on the sunny beaches of the Atlantic Ocean, the Hilton Daytona Beach offers impeccable service, an abundance of amenities and many dining and recreational options. 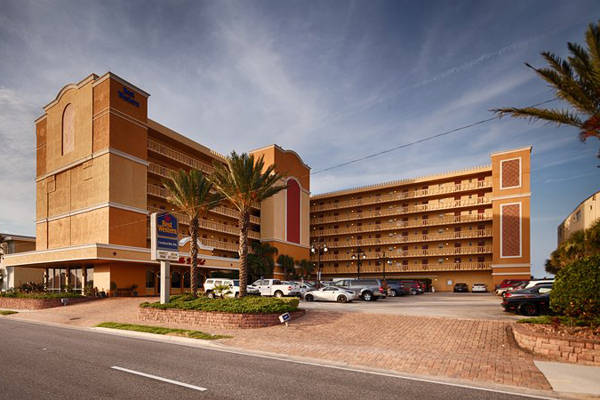 The Hilton Daytona Beach Ocean Walk Village Hotel is just minutes from Daytona Beach International Airport, Daytona International Speedway and only 60 minutes from Orlando International Airport. 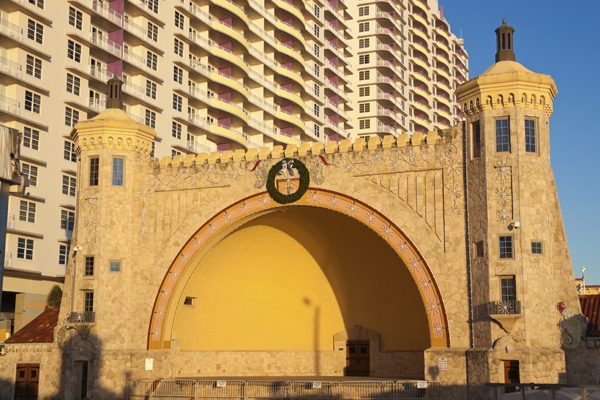 St. Augustine area attractions of Orlando are just an hour away. 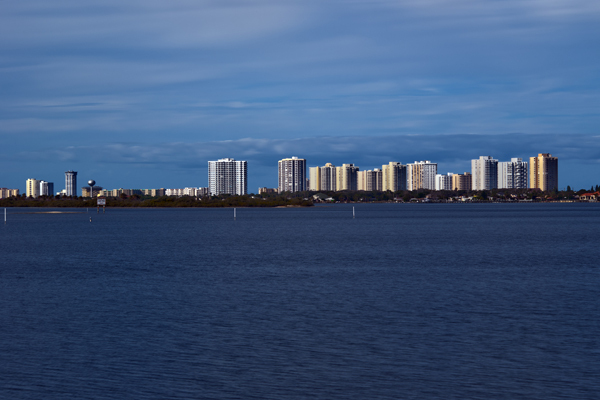 The region has 32 area golf courses including LPGA International Golf Course, Peabody Auditorium, News Journal Center, Bethune Cookman Performing Arts Center, Ponce Inlet Lighthouse, Museum of Arts and Sciences and many other monuments, museums and parks. 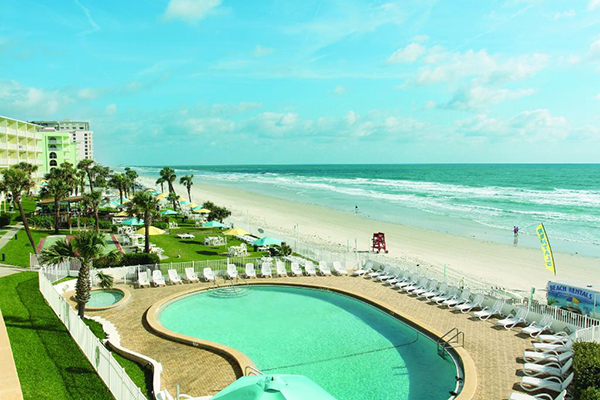 Escape to the white sandy beaches of Daytona Beach, Florida for a Last-Minute Daytona Beach Thanksgiving Weekend Getaway and stay at one of Daytona Beaches luxury resorts, the Coral Sands Inn ® for 4 days and 3 nights for only $199. 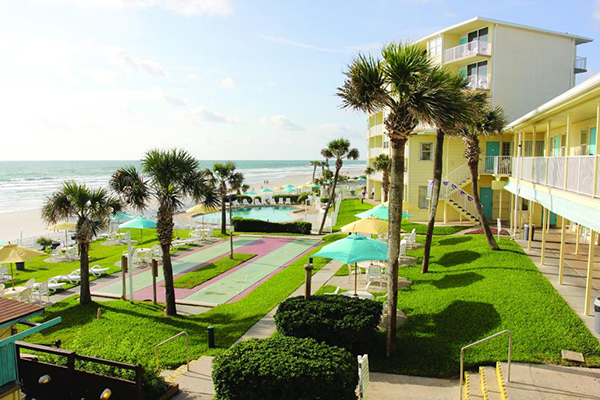 Escape to the white sandy beaches of Daytona Beach, Florida for a Last-Minute Daytona Beach Thanksgiving Weekend Getaway and stay at one of Daytona Beaches luxury resorts, the Coral Sands Inn ® for 4 days and 3 nights for only $199. 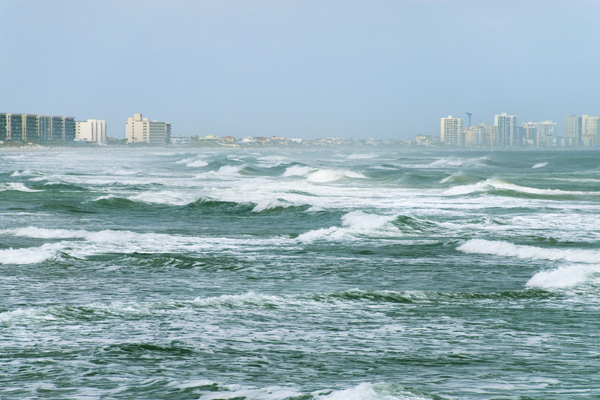 Located on Daytona’s exclusive upscale north end, the Coral Sands sits on 900 ft. of traffic free beach. Lush green lawns, plush landscaping and foliage, private Oceanfront Cottages where all rooms are smoke free and exceptional clean. 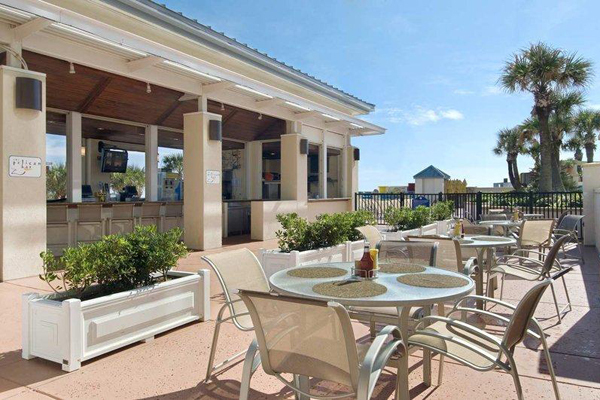 The white sand and beautiful, warm waters of the Atlantic Ocean are the backyard playground of the Coral Sands Inn®. 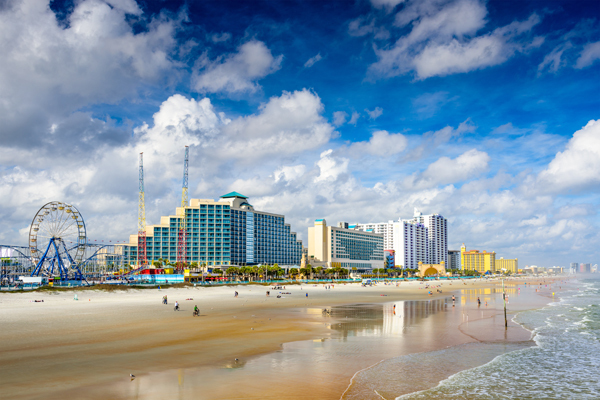 Included in this Daytona Beach Florida Thanksgiving Getaway is a $100 Visa to be do some Black Friday Shopping and a $25 Dining Card to have a nice dinner after a long day of shopping or playing. 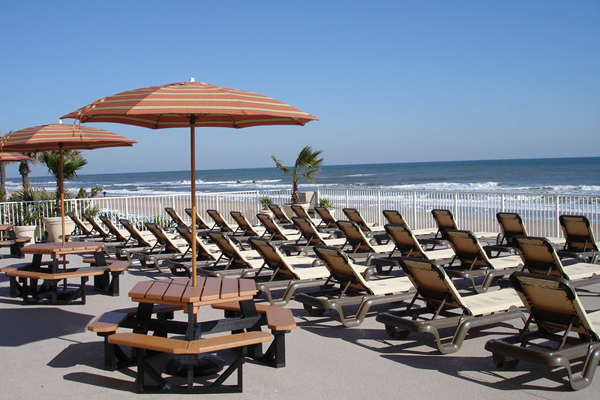 Call Rooms101.com now and customize this Daytona Beach Florida Thanksgiving Getaway for you and your family! 1-800-749-4045! $25 dining certificate |CLICK HERE for details! 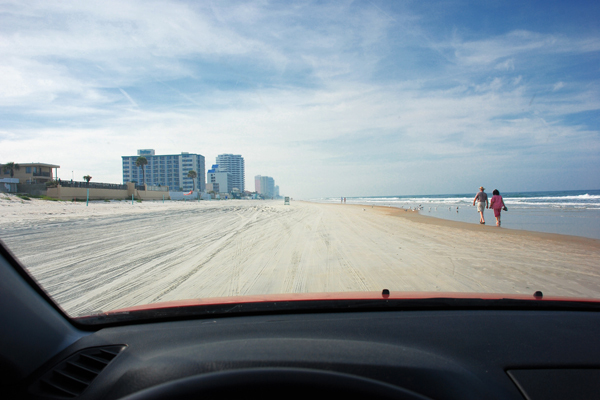 Located on Daytona’s exclusive upscale north end, the Coral Sands sits on 900 ft. of traffic free beach. Lush green lawns, plush landscaping and foliage, private Oceanfront Cottages where all rooms are smoke free and exceptional clean. 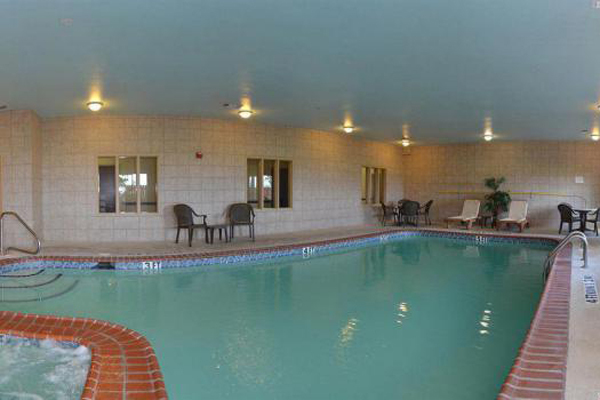 Large pool and deck, private cottages, newly remodeled tower where all rooms and suites feature panoramic ocean views. 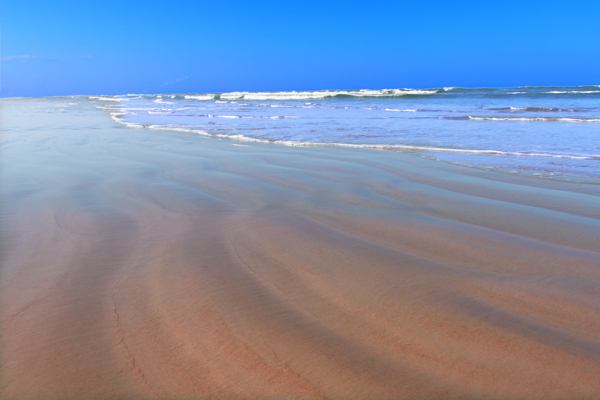 Just a mile north of Granada, you’ll enjoy the beach the way your family should, private, safe, and secure. 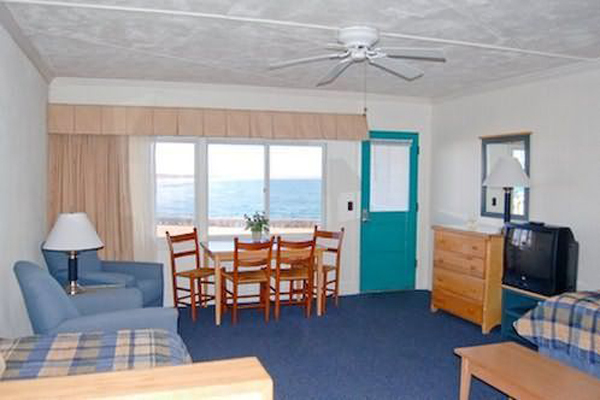 We also rent cabanas and chairs on the beach for your enjoyment as well.We love pets, so don’t leave yours behind.We feature a limited number of pet friendly Ocean view cottages ,upon request, and great pet friendly play areas. 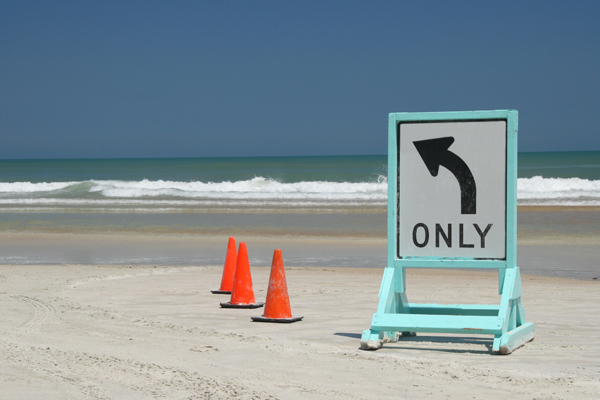 Pets are not allowed on the beach tho or in the high rise rooms.Traveling by RV, then great, the Coral Sands is the only Oceanfront Resort with an on site Oceanfront Campground, with 45 spaces. 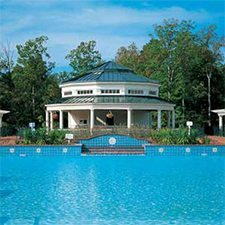 Stay in your RV and enjoy all the amenities the resort offers. Enjoy your visit to our website, book on-line or call our friendly staff if you have any questions or need assistance with your reservation. 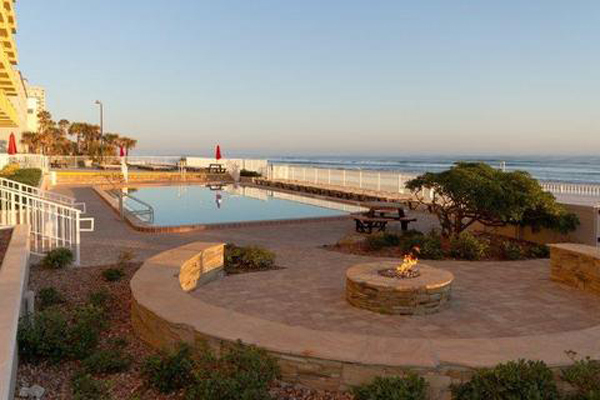 For a Last-Minute Thanksgiving Getaway escape to the Beach Front Perry’s Ocean Edge Resort® for a Daytona Beach Florida Thanksgiving Getaway and enjoy 4 days and 3 nights for only $199. 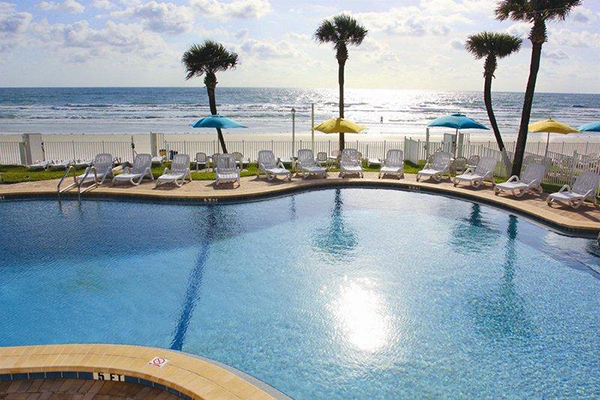 For a Last-Minute Thanksgiving Getaway escape to the Beach Front Perry’s Ocean Edge Resort® for a Daytona Beach Florida Thanksgiving Getaway and enjoy 4 days and 3 nights for only $199. 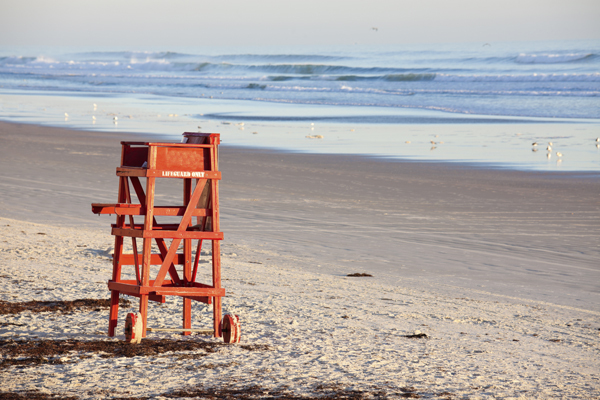 Enjoy the beautiful ocean front view of the white sandy beaches, the basking sun, and the local eateries of Daytona Beach, Florida. 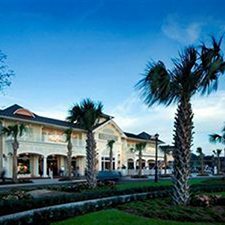 Included in this Daytona Beach Florida Thanksgiving Getaway is a $25 Dining Card to be used at many favorite local Daytona Beach favorite restaurants and a $100 Visa Card to do your Christmas Shopping on Black Friday. 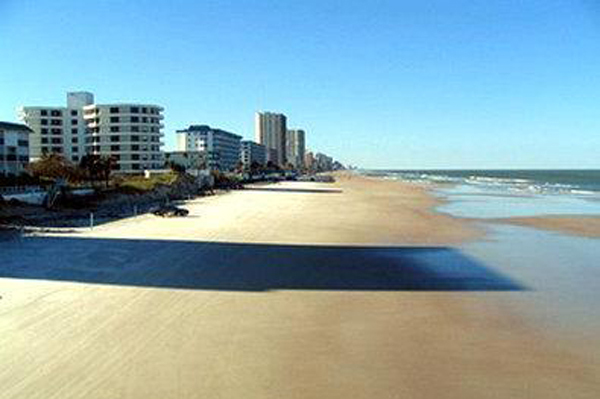 This is the best Daytona Beach Florida Thanksgiving Getaway online. 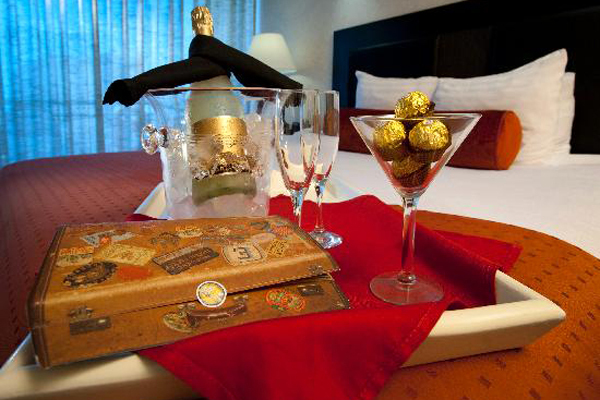 Call Rooms101.com now and customize this package for you and your family! 1-800-749-4045! $25 Dining Card CLICK HERE for details! Take your Family for the best experience of gratitude celebration and SeaWorld fun. Have your Thanksgiving Turkey with us. 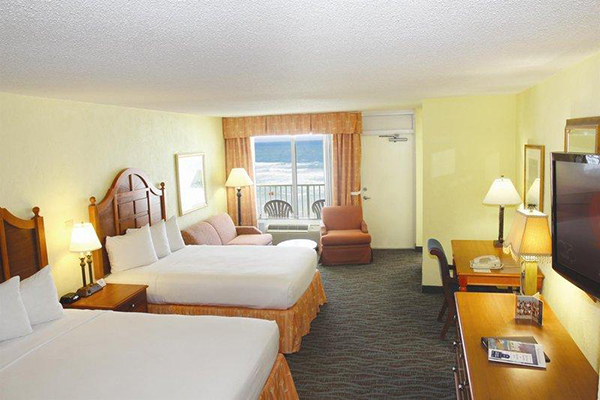 Spend this Thanksgiving Getaway and stay in the luxury Sleep Inn & Suites Near Seaworld for 3 Days and 2 Nights and only $99 . 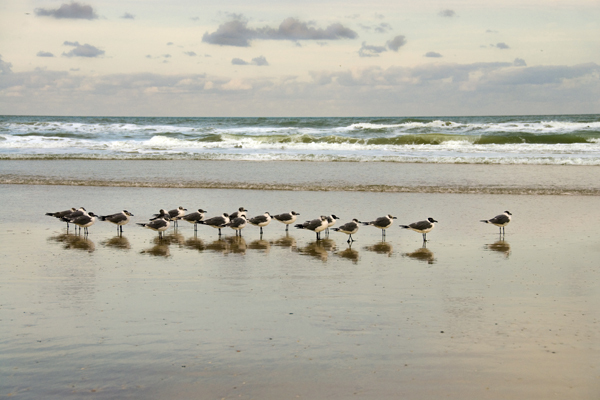 Make your Family joyful and excited with this Thanksgiving Getaway! 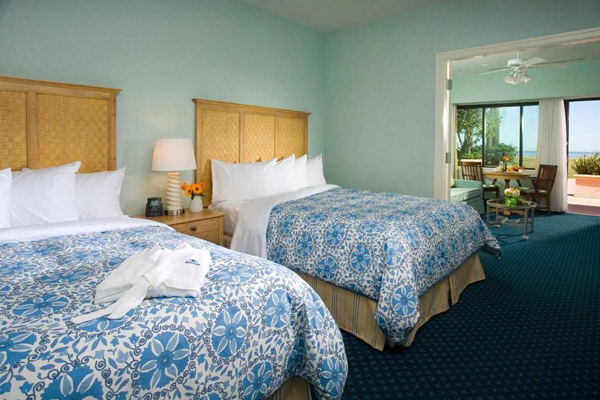 Enjoy 3 Days and 2 Nights at Sleep Inn & Suites Near Seaworld for only $89 Per Night! Have lunch or dinner at some of the finest restaurants in the area! Come to this unique city in the world and book your Thanksgiving vacation today! This is the best San Antonio Thanksgiving Deal you will find anywhere! 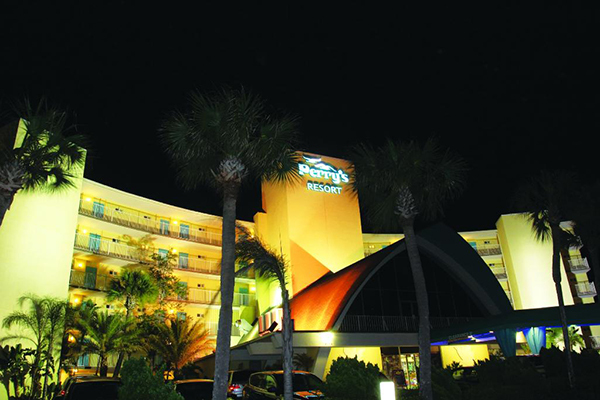 Choose the breath taking Sleep Inn & Suites Near Seaworld for $99 and 3 Days and 2 Nights stay ! 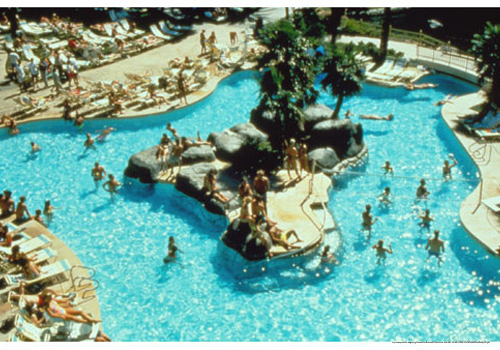 This is the best San Antonio, TX Resort Deal you will find anywhere! 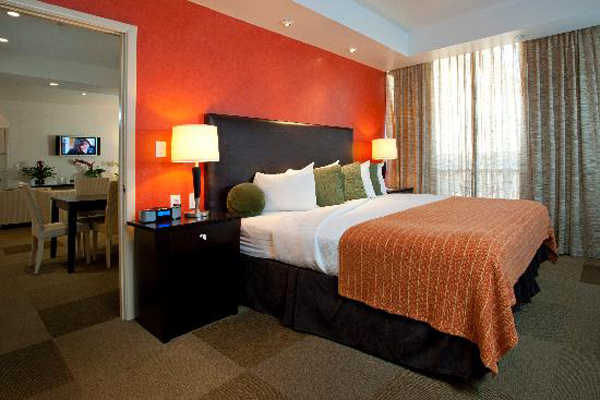 Choose this extraordinary San Antonio, TX Hotel stay for 3 Days and 2 Nights and only $99! 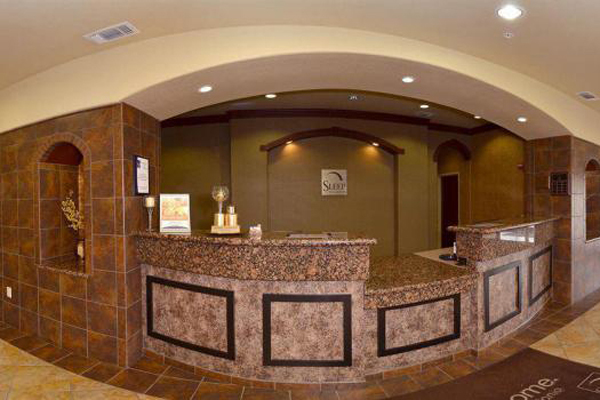 Sleep Inn & Suites Near Seaworld is absolutely stunning! Do you know that it is a ridiculous deal at this price. Don’t miss out! 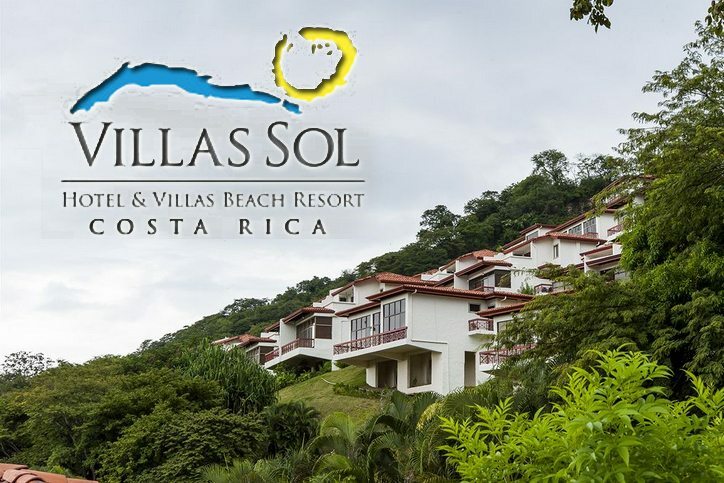 Rooms101.com is only allotted a very small number of suites by these San Antonio resorts for our promotional offers. Availability runs out very quickly. 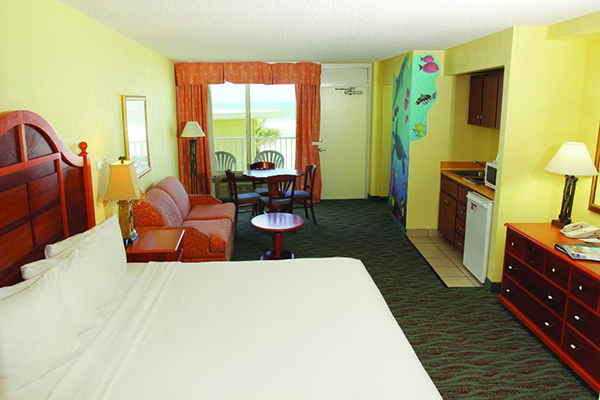 Call Rooms101.com now to reserve your Sleep Inn & Suites Near Seaworld Thanksgiving Vacation at this unbelievable price. 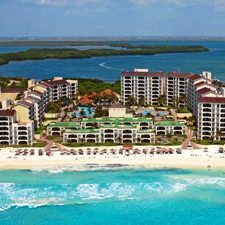 One of our personal travel coordinators will assist you in customizing every aspect of your San Antonio Thanksgiving vacation and make sure that you get the best deals! San Antonio Thanksgiving Vacation for less than $100!! 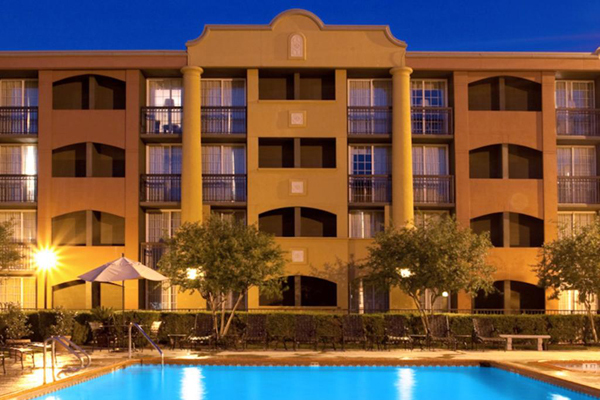 Spend 3 Days and 2 Nights at Sleep Inn & Suites Near Seaworld for only $99! Additional Nights at a discount!!! Layaway this vacation and Book your travel dates today! CLICK HERE for Vacation Layaway details. has 21 years of experience in identifying the best deals in San Antonio for our clients. We have last-minute specials, Daily Deals and our personal travel coordinators will work with you to find the best San Antonio deal for you! 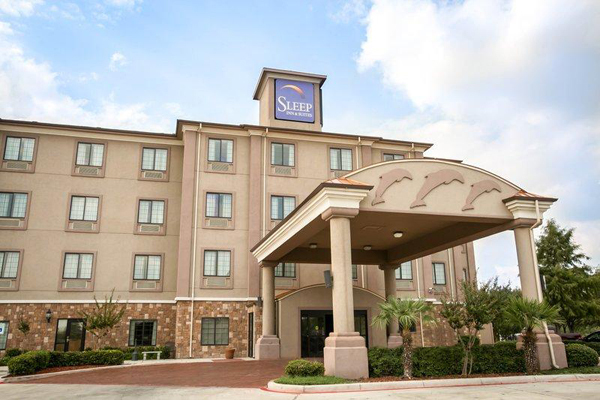 The Sleep Inn & Suites near Seaworld is conveniently located, offering easy access to Interstate 410, State Highway 151 and Interstate 10. 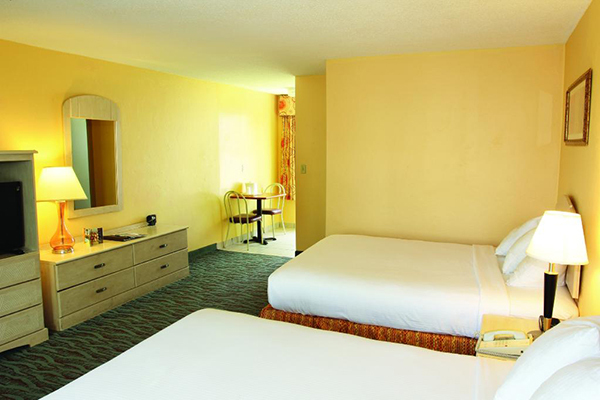 Your newly redecorated guestroom at Sleep Inn & Suites Near Seaworld will excite your senses with its modern urban style furniture and bold colors. A modern desk with ergonomic chair complete the look and provide ample space to do some work or plan your sightseeing. 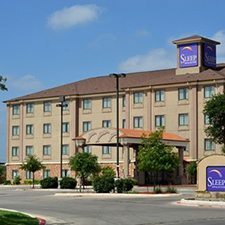 Whether traveling for business or vacationing with the family, the Sleep Inn & Suites near Seaworld in San Antonio offers you a convenient location, affordable rates and service with a smile. 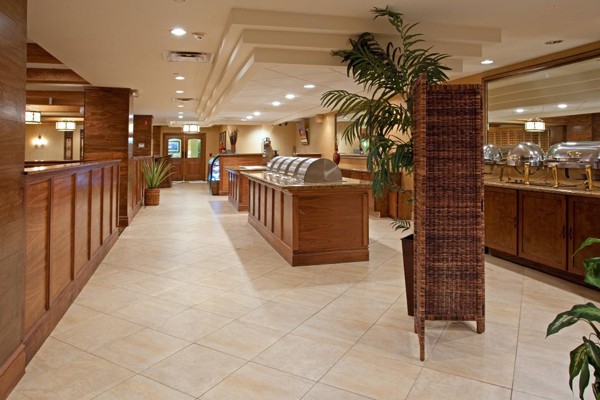 We look forward to having you as our guest and making your stay memorable. 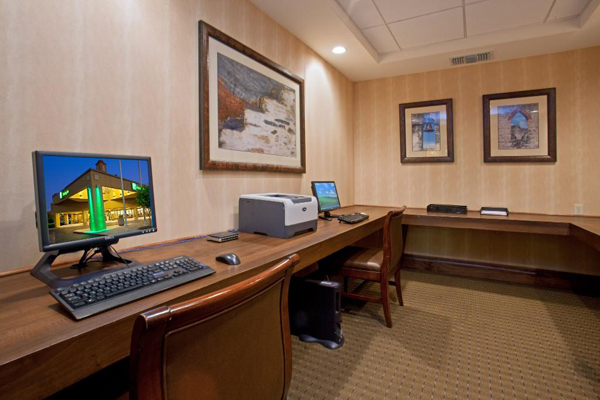 Business travelers will welcome additional conveniences like in-room desks, meeting facilities, and access to copy and fax services. 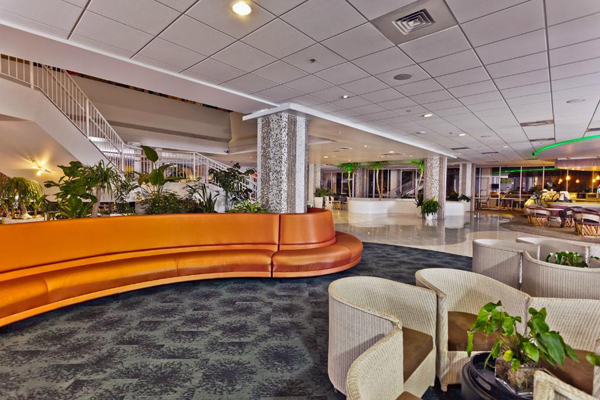 Sleep Inn & Suites Near Seaworld is fashionably updated with a fun, retro twist that pays respect to the hotel’s original style. 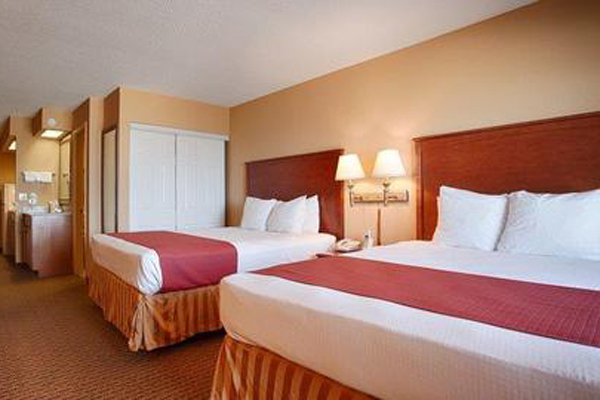 Sleep Inn & Suites Near Seaworld is the perfect place for your weekend getaway, family vacation, San Antonio wedding, honeymoon, reunion or other special event. Show your gratitude to your loved ones and enjoy an incredible San Antonio, TX Thanksgiving Getaway. 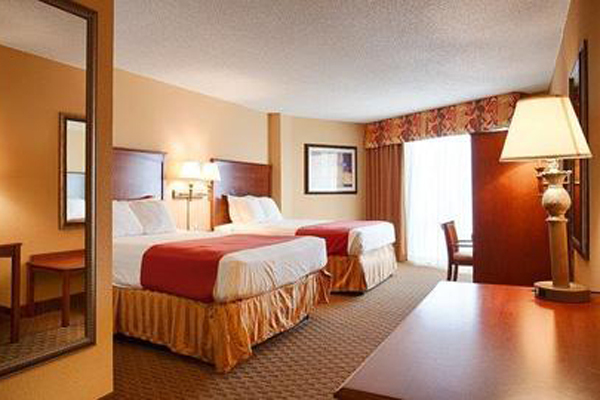 Stay in the luxury Holiday Inn San Antonio Downtown/Market Square for 4 Days and 3 Nights for only $279. Make your Family joyful and excited with this Thanksgiving Getaway! 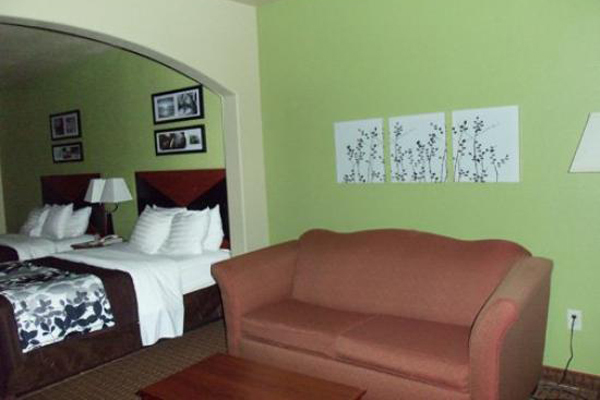 Enjoy 4 Days and 3 Nights at Holiday Inn San Antonio Downtown/Market Square for only $89 Per Night! Enjoy a free $50 Dining Dough and have lunch or dinner at some of the finest restaurants in the area! Come to this beautiful city and book your Thanksgiving vacation today! This is the best San Antonio Thanksgiving Deal you will find anywhere! 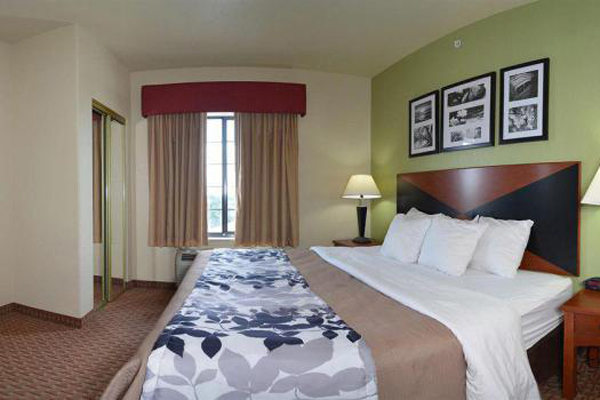 Choose the breath taking Holiday Inn San Antonio Downtown/Market Square for $279 and 4 Days and 3 Nights stay ! 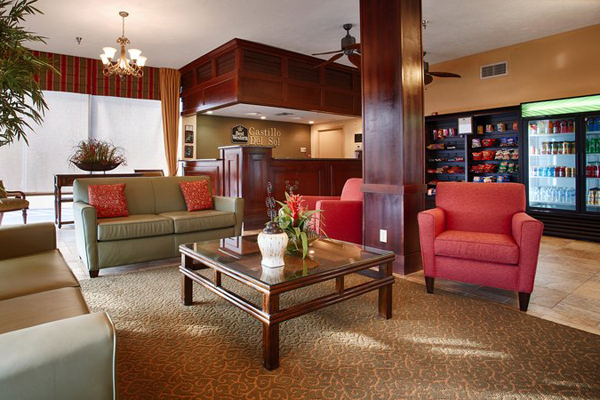 Choose this extraordinary San Antonio, TX Hotel stay for 4 Days and 3 Nights and only $279! Holiday Inn San Antonio Downtown/Market Square is absolutely stunning! Do you know that it is a ridiculous deal at this price. Don’t miss out! Availability runs out very quickly. 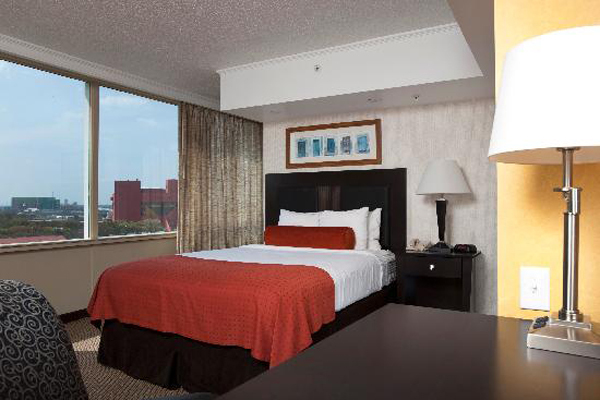 Call Rooms101.com now to reserve your Holiday Inn San Antonio Downtown/Market Square Thanksgiving Vacation at this unbelievable price. San Antonio Thanksgiving Vacation for less than $300!! 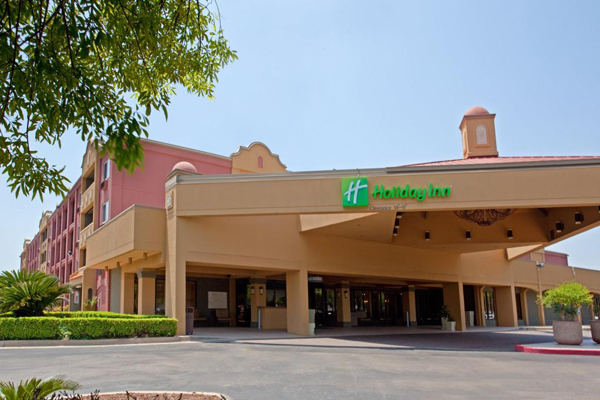 Spend 4 Days and 3 Nights at Holiday Inn San Antonio Downtown/Market Square for only $279! $50 dining certificate |CLICK HERE for details! 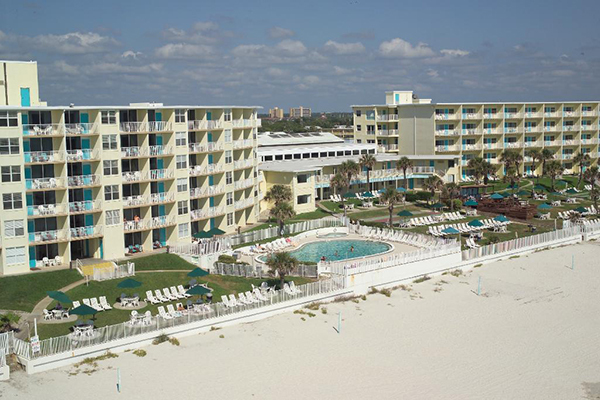 Additional Nights as low as $89!!! Rooms101.com has 21 years of experience in identifying the best deals in San Antonio for our clients. We have last-minute specials, Daily Deals and our personal travel coordinators will work with you to find the best San Antonio deal for you! 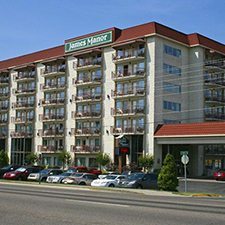 Holiday Inn San Antonio Downtown/Market Square is located in the heart of San Antonio. It is within close proximity of Casa Navarro State Historical Park, Museo Alameda, Cathedral of San Fernando and Main Plaza. 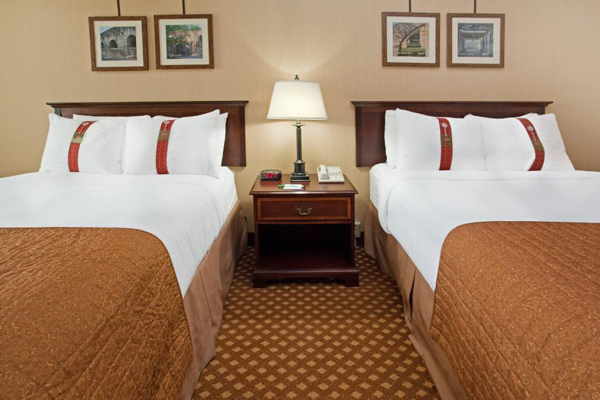 Make yourself at home in one of the 313 air-conditioned guestrooms. 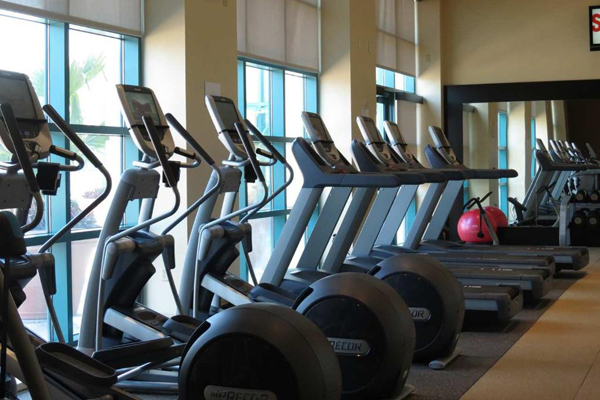 Don’t miss out on the many recreational opportunities, including an outdoor pool, a spa tub, and a fitness facility. 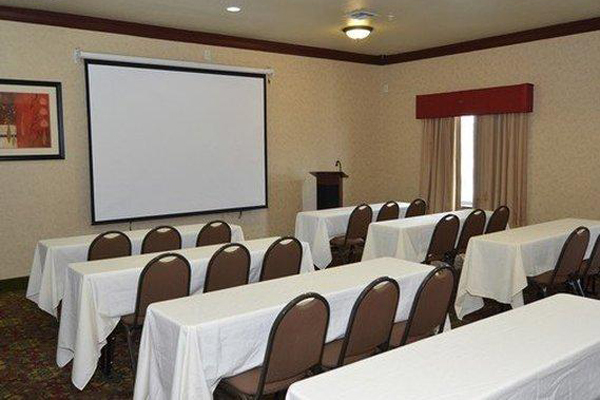 Featured amenities include a business center, a computer station, and audiovisual equipment. 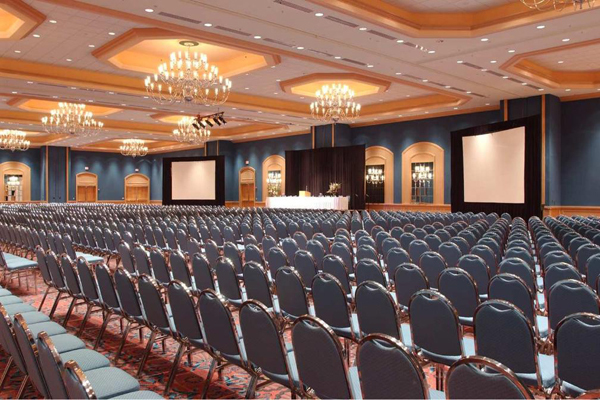 Event facilities at this hotel consist of a ballroom and banquet facilities. Free parking is available onsite. Come and have your Thanksgiving Turkey with us. We are sure you will come back for another one! 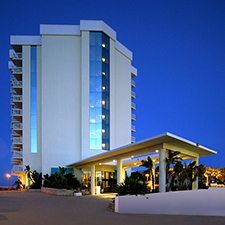 Spend this Thanksgiving Getaway and stay in the luxury El Tropicano Riverwalk Hotel for 3 Days and 2 Nights and only $279 . Make your Family joyful and excited with this Thanksgiving Getaway! 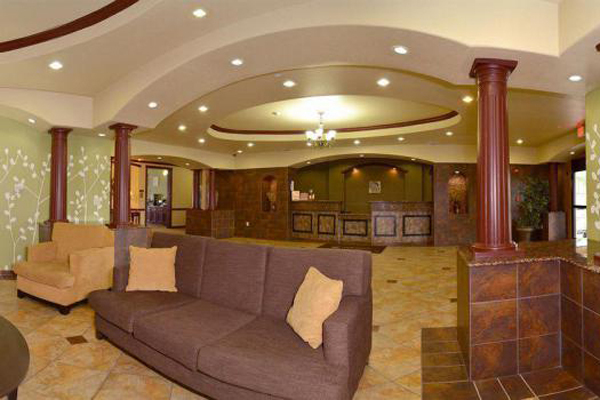 Enjoy 3 Days and 2 Nights at El Tropicano Riverwalk Hotel for only $89 Per Night! Have lunch or dinner at some of the finest restaurants in the area! This is the best San Antonio Thanksgiving Deal you will find anywhere! 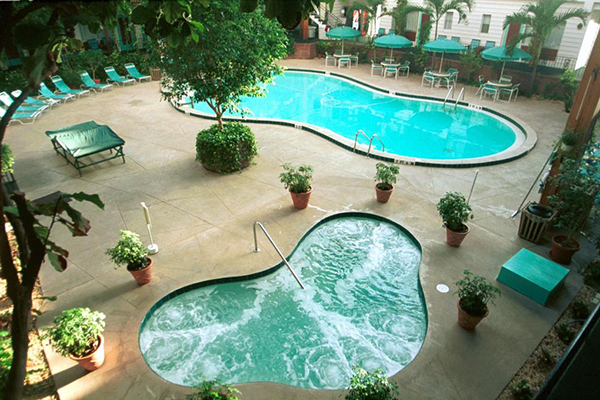 Choose the breath taking El Tropicano Riverwalk Hotel for $279 and 3 Days and 2 Nights stay ! 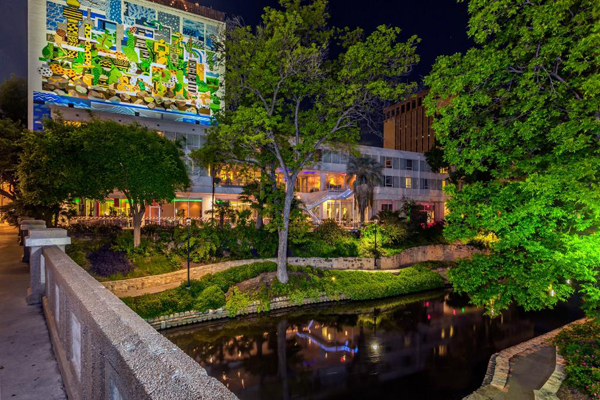 Choose this extraordinary San Antonio, TX Hotel stay for 3 Days and 2 Nights and only $279! El Tropicano Riverwalk Hotel is absolutely stunning! Do you know that it is a ridiculous deal at this price. Don’t miss out! Availability runs out very quickly. 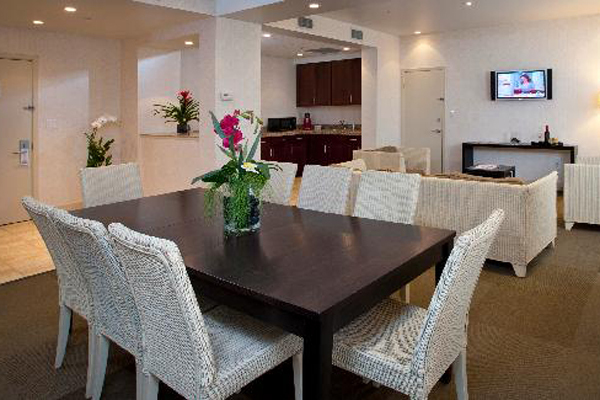 Call Rooms101.com now to reserve your El Tropicano Riverwalk Hotel Thanksgiving Vacation at this unbelievable price. Spend 3 Days and 2 Nights at El Tropicano Riverwalk Hotel for only $279! 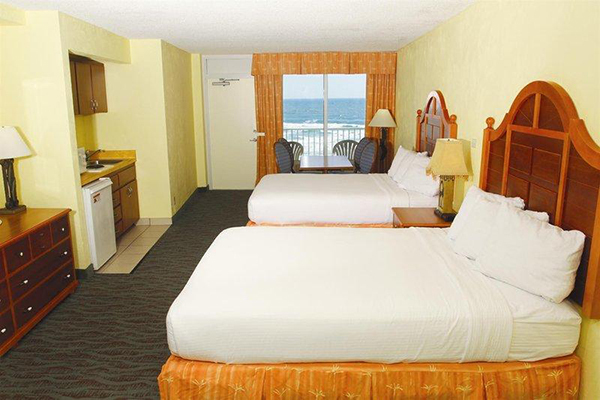 Additional Nights as low as $79!!! Your newly redecorated guestroom at El Tropicano will excite your senses with its modern urban style furniture and bold colors. A modern desk with ergonomic chair complete the look and provide ample space to do some work or plan your sightseeing. 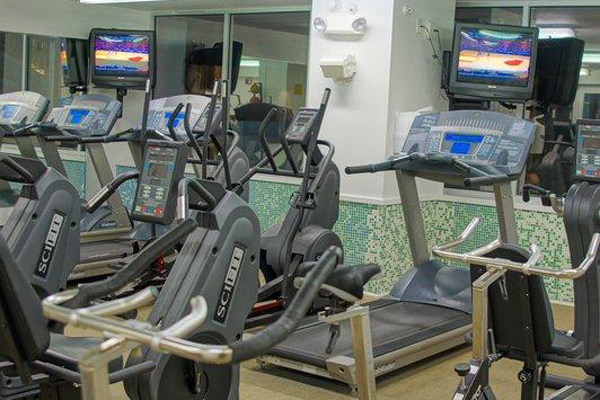 All rooms are nonsmoking and include 37″ flat screen TV’s with high definition channels, wired and wireless Internet access, iron/ironing board, hair dryer, and coffee/tea maker. Complimentary daily newspapers are available in the lobby. 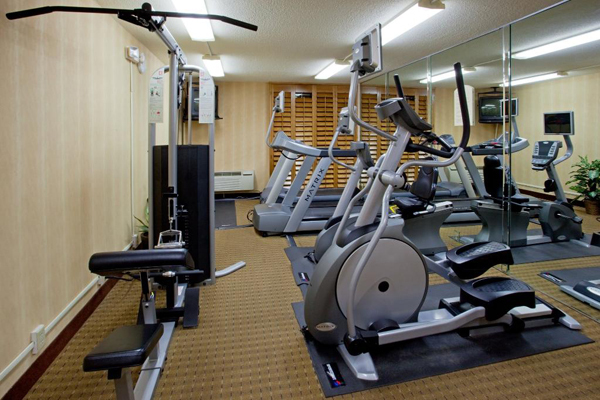 Our nine-floor hotel offers several room choices available to suit your needs. 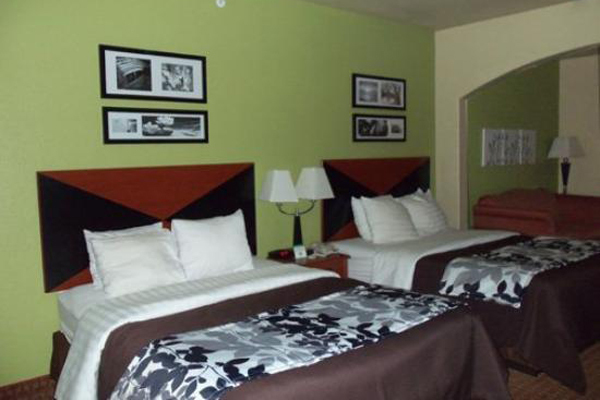 Choose our San Antonio accommodations at El Tropicano Riverwalk Hotel for a comfortable and relaxing stay. 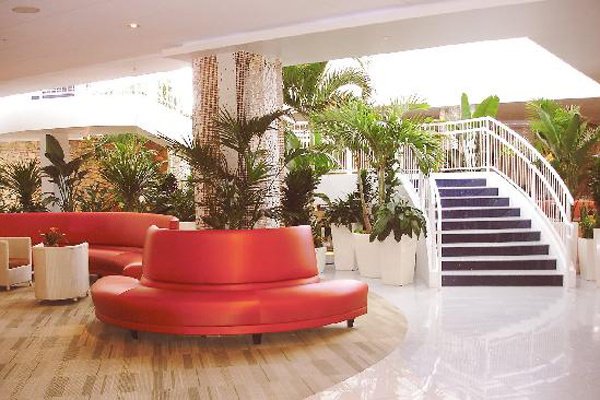 El Tropicano is fashionably updated with a fun, retro twist that pays respect to the hotel’s original style. 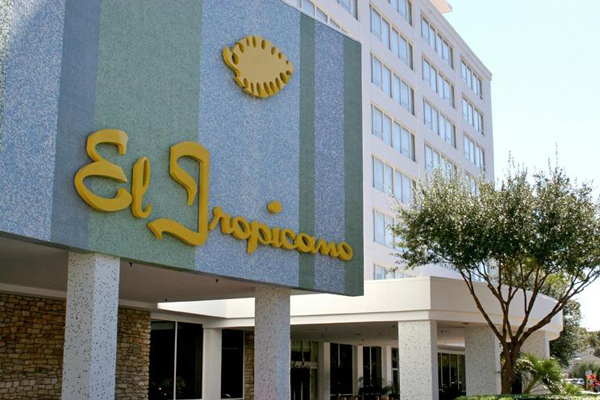 El Tropicano is the perfect place for your weekend getaway, family vacation, San Antonio wedding, honeymoon, reunion or other special event.